Acute headaches: Seen in children, these are headaches that occur suddenly and for the first time and have symptoms that subside after a relatively short period of time. 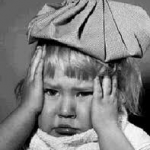 Acute headaches most commonly result in a visit to the pediatrician’s office and/or the emergency room. If there are no neurological signs or symptoms, the most common cause for acute headaches in children and adolescents is a respiratory or sinus infection. Hormone headaches: Headaches in women are often associated with changing hormone levels that occur during menstruation, pregnancy, and menopause. Chemically induced hormone changes, such as with birth control pills, also trigger headaches in some women. Chronic progressive headaches: Also called traction or inflammatory headaches, chronic progressive headaches get worse and happen more often over time. These are the least common type of headache, accounting for less than 5% of all headaches in adults and less than 2% of all headaches in kids. Chronic progressive headaches may be the result of an illness or disorder of the brain or skull. Yes, headaches, especially migraines, have a tendency to run in families. Most children and adolescents (90%) who have migraines have other family members with migraines. When both parents have a history of migraines, there is a 70% chance that the child will also develop migraines. If only one parent has a history of migraines, the risk drops to 25%-50%. 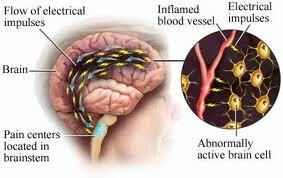 Headache pain results from signals interacting between the brain, blood vessels, and surrounding nerves. During a headache, specific nerves of the blood vessels and head muscles are activated and send pain signals to the brain. It’s not clear, however, why these signals are activated in the first place. There is a migraine “pain center” or generator in the mid-brain area. A migraine begins when hyperactive nerve cells send out impulses to the blood vessels, causing constriction, followed by the dilation of these vessels and the release of prostaglandins, serotonin, and other inflammatory substances that cause the pulsation to be painful. Serotonin is a naturally occurring chemical essential for certain body processes. Headaches that occur suddenly (acute-onset) are usually due to an illness, infection, cold, or fever. Other conditions that can cause an acute headache include sinusitis (inflammation of the sinuses), pharyngitis (inflammation or infection of the throat), or otitis (ear infection or inflammation). In some cases, the headaches may be the result of a blow to the head (trauma) or rarely a sign of a more serious medical condition. Common causes of tension headaches or chronic nonprogressive headaches include emotional stress related to family and friends, work, or school; alcohol use; skipping meals; changes in sleep patterns; excessive medication use; tension and depression. 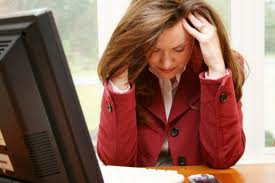 Other causes of tension headaches include eyestrain and neck or back strain due to poor posture. Headaches can also be triggered by specific environmental factors that are shared in a family’s household, such as exposure to second-hand tobacco smoke, strong odors from household chemicals or perfumes, exposure to certain allergens, or eating certain foods. Stress, pollution, noise, lighting, and weather changes are other environmental factors that can trigger headaches for some people. Too much physical activity can also trigger a migraine in both adults and children. Be sure to consult a doctor to find out what is causing your headaches. Headaches may improve as children gets older. The headaches may disappear and then return later in life. By junior high school, many boys who have migraines outgrow them, but in girls, migraine frequency increases because of hormone changes. Migraines in adolescent girls are three times more likely to occur than in boys. 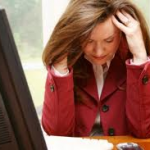 How Are Headaches Evaluated and Diagnosed? The good news for headache sufferers is that once a correct headache diagnosis is made, an effective treatment plan can be started. If you have headache symptoms, the first step is to go to your family doctor. He or she will perform a complete physical exam and a headache evaluation. During the headache evaluation, your headache history and description of the headaches will be evaluated. You will be asked to describe your headache symptoms and characteristics as completely as possible. A headache evaluation may include a CT scan or MRI if a structural disorder of the central nervous system is suspected. Both of these tests produce cross-sectional images of the brain that can reveal abnormal areas or problems. Skull X-rays are not helpful. An EEG (electroencephalogram) is also unnecessary unless you have experienced a loss of consciousness with a headache. If your headache symptoms become worse or become more frequent despite treatment, ask your doctor for a referral to a specialist. Your family doctor should be able to provide the names of headache specialists. Your doctor may recommend different types of treatment to try or she may recommend further testing, or refer you to a headache specialist. You should establish a reasonable time frame with your family doctor to evaluate your headache symptoms. The proper treatment will depend on several factors, including the type and frequency of the headache and its cause. Not all headaches require medical attention. Treatment may include education, counseling, stress management, biofeedback, and medications. The treatment prescribed for you will be tailored to meet your specific needs. What Happens After I Start Treatment? When your doctor starts a treatment program, keep track of the results and how the treatment program is working. Keep your scheduled follow-up appointments so your doctor can monitor your progress and make changes in the treatment program as needed. This entry was posted in Headache and tagged acute headache, biofeedback, central nervous system, chronic progressive headache, counselling, CT scan, hormone headache, inflammatory headaches, migraine, MRI, serotonin, sinus headache, stress management, traction headache on June 7, 2012 by alwin.